The Gaylord Palms Resort & Convention Center in Orlando, Fla. is set to welcome leading polyurethane professionals and experts, Oct. 7-9, to the 62nd Polyurethanes Technical Conference, the longest-running polyurethanes conference in North America. Registration is now open for this premier conference, hosted by the Center for the Polyurethanes Industry (CPI) of the American Chemistry Council, featuring creative applications and the latest innovations for polyurethane chemistry. The annual Polyurethanes Technical Conference offers exciting networking events hosted by industry leaders and an outstanding lineup of technical sessions featuring technical and regulatory updates. These technical sessions are designed to showcase the most important and powerful topics on the minds of industry professionals, including the latest innovations, advancements and applications for polyurethanes, and end-use markets ranging from automotive, construction, coatings, adhesives, sealants and elastomers (CASE). In addition to topics such as sustainability, processing advances and global regulatory insights, CPI will be also releasing the 2018 End-Use Market Survey on the Polyurethanes Industry in the United States, Canada and Mexico. The biennially produced report will showcase historic trends in all major product segments. The 2019 Technical Conference will also offer its Professional Development Program, which is taught by current industry experts, to provide insight to current and future leaders on polyurethanes chemistry, application, testing and safety-related topics. The Practical Wood Coatings Formulation and Application course is a 3-day intensive course combining both lecture and laboratory instruction and demonstration. The course introduces students to historical aspects of wood coatings and then, systematically, brings them to the current state of the art. The course discusses solvent-based, water-based, and UV technology in a comparative, and enlightening manner. The course is a comprehensive technical, marketing, and idea generation, resource. Students will leave the course with a heightened sense of confidence regarding their knowledge of wood coatings. Formulators, chemists, applicators, users of wood coatings, and sales, marketing, and technical service personnel of raw material suppliers will find the course quite beneficial. Obie is the founder and owner of the Wood Coatings Research Group, an Independent R&D and Think Tank organization. Ronald has over 30 years of research, development, consulting, training, and problem-solving experience in the wood coatings and coatings industry. Obie has developed highly successful new coating technology platforms and technologies for the marketplace. He is extremely knowledgeable of the science, technology, and market characteristics of the wood coating industry. He has been a multiple short course Technology Conference instructor for FSCT/ACA in the area of wood coatings, teaching such courses as “Formulating for Factory Applied Wood Finishes” and “Crosslinking of Aqueous Wood Coatings.” Further, Obie has taught as an adjunct instructor in the area of polymer chemistry. He has also spoken at international and local societies, symposia and conferences in the area of coatings science and technology, and nanotechnology. 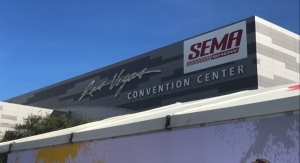 The SEMA Show takes place Nov. 5-8, 2019, at the Las Vegas Convention Center located at 3150 Paradise Road, Las Vegas, NV 89109. 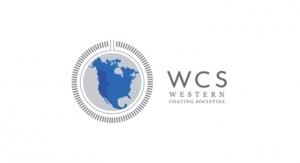 Since its inception in 1996, CHINACOAT has been dedicated to providing an international trading platform for suppliers and manufacturers of the coatings industry to connect with global trade visitors, particularly from China and Asia. The show is held annually and alternates its venue between the cities of Guangzhou and Shanghai, P. R. China. The scale of our 2017 Shanghai edition reached its historic high, with a total of 34,425 trade visitors from 88 countries/regions, 1,210 exhibitors from 34 countries/regions and a gross exhibition area of over 86,000 square meters. 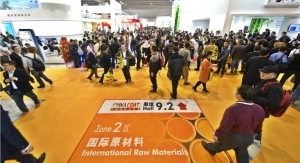 In 2019, CHINACOAT will return to Shanghai and continue to serve as your gateway to global coatings market! 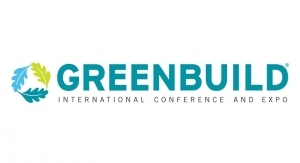 Organizers of UTECH North America, the independent polyurethanes conference and trade show, announced that the next edition of the event will take place May 19-21, 2020, at the Renaissance Schaumburg Convention Center Hotel in Chicago. UTECH North America draws from a broad range of polyurethane professionals representing numerous industries innovating with polyurethane. This includes automotive, aerospace, building and construction, electrical, furniture and bedding, footwear and textiles, mining and offshore, pipes and pipelines, refrigeration and insulation as well as specialist surgical and medical. Held in conjunction with the conference, the independent UTECH North America trade show connects suppliers and buyers from across the polyurethane industry for two days of networking, learning and identifying new business opportunities. As the only show that is 100 percent polyurethanes, attendees can expect to meet with leading suppliers, including REPI, Chromaflo, Frimo and Max Process Equipment. 16 - 28 of 28 results.